Did you have dry hair? 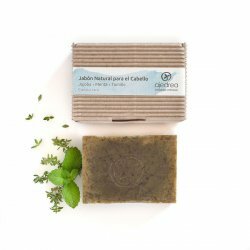 Try jojoba with mint and thyme. It moisturises, refreshes and revitalizes. These 3 components attached to our formula of olive oil and coconut give new life to your dry hair. Don't worry, you can use it daily and start every day with these fresh and invigorating aromas! A cold processed soap to care for your hair. 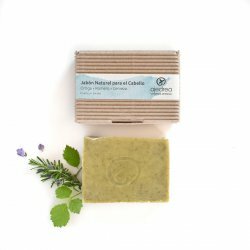 It contains fresh rosemary and nettle for degreasing and to give vitality and castor oil to moisturise to your hair. 120 grams of health for your hair!